The comedian’s work must be viewed differently after allegations of sexual misconduct. Louis C.K. has never shied away from controversial or sexually explicit topics when it comes to his comedy and that includes masturbation. 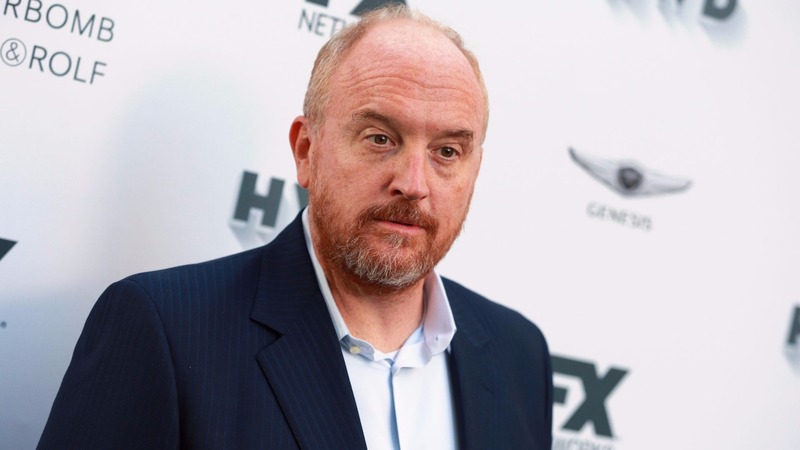 If you sit back and think about C.K.’s stand-up work or even his hit series Louie, you’ll probably recall a masturbation reference at some point. In fact, as painful as it is to say now, masturbation has kind of became a calling card for the comedian, who was known for performing that now-familiar jerking-off motion during a live set. Those performances have taken on a different edge now. A report from the New York Times details five different accounts from women who claim C.K. masturbated in front of them without their consent. Rumours have been doing the rounds since 2012 but have never properly addressed in the media until now. And the grim reality of the situation is that suddenly the many, many masturbation jokes C.K. has told down the years now feel like the comedian flaunting his alleged behaviour in plain sight. It feels arrogant and a power play on the part of the performer, seemingly robbing his victims of their right to feel abused by his actions. By normalising it, C.K. is casting himself in the role of ordinary joe, rather than something far more sinister. If he had made one or two jokes here or there, his defenders could argue the gags were being taken out of context. The problem is there are simply so many – Death and Taxes previously put together a super cut of all the references and it ran to 27 minutes. These jokes now need to be revisited, if just to simply highlight how serious a problem this has become and how blind we all we to it.